Chris joined Whitelaw Twining in 2016 after relocating from Ontario. He works in general insurance litigation with a focus on transportation, personal injury and employment. For Chris, the best part of his job is creative problem solving. He likes approaching problems in new ways to find innovative, efficient resolutions for his clients. Before joining our team, Chris practiced in Toronto. 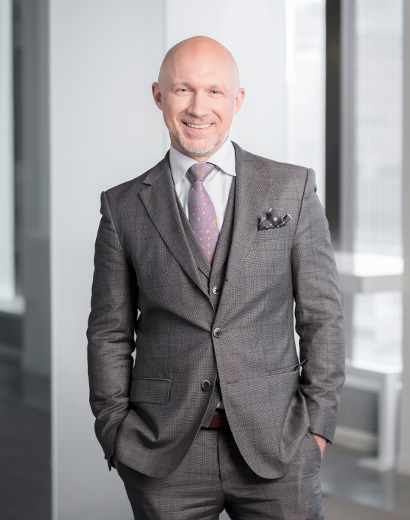 He has represented clients at multiple levels of court in Ontario and BC as well as at mediation, pre-trial proceedings, and administrative tribunals. While at the University of Toronto, Chris volunteered with the Advocates’ Society, Pro Bono Students Canada Civil Litigation Project, the International Human Rights Program, and the Asper Centre for Constitutional Rights. He also competed in the Vis International Commercial Arbitration Moot and the Callaghan Moot. Chris is a Member-at-Large for the Canadian Bar Association Civil Litigation Section. Outside of work, Chris enjoys rock climbing, hiking, splitboarding, and snowboarding. When he’s not taking advantage of the nearby mountains, he travels, cooks and enjoys live music. In a previous life, he was an actor in Vancouver and lived in the Cayman Islands.